Stranded on an island, alone against cannibals, pirates and the elements, you must survive.Stranded on an island, alone against cannibals, pirates and the elements, you must survive. 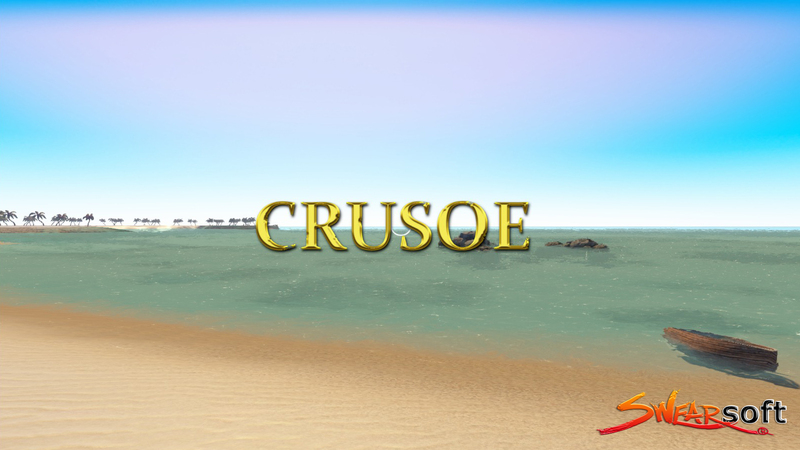 Who doesn’t know the story of Robinson Crusoe, the story of a cast away, washed up on the shores of an island and tasked with surviving it’s harsh conditions. 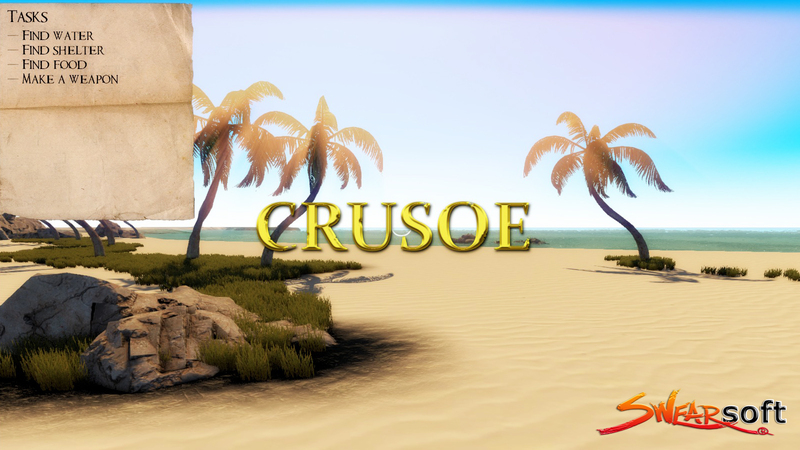 Crusoe and his dog (we will try to include the cats too) and eventually Friday will be part of an exciting new survival game. You start the game washed up on a random beach of the island. All you have is some clothes and your notebook. You look around for things you can use and start exploring the island. A location to setup camp, fresh water, a place to store supplies in anticipation of your needs. Your needs are reflected in the HUD with a few bars ( hunger, thirst, stamina and health ) that will keep you informed of your current condition and help you prioritize your goals. Building: shelter, fortification, traps, irrigation and even machines that work with wind or water, as you progress through time and unlock new blueprints. 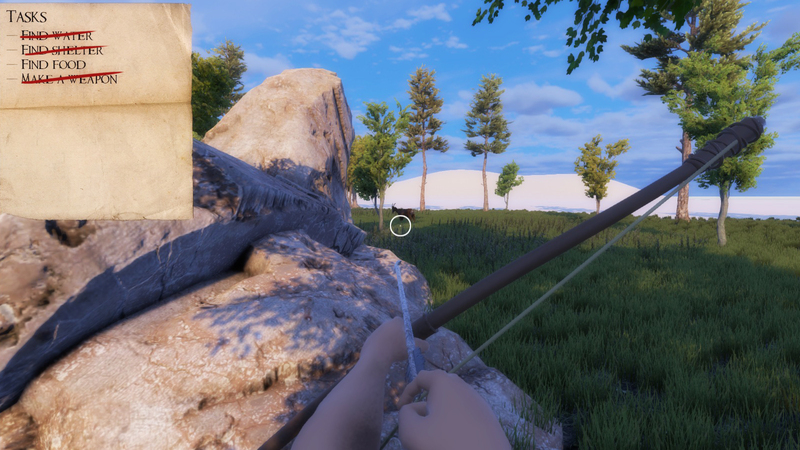 Crafting: Create rope, nets, arrows and other items needed for survival using ingredients found on the island. Combat: Fight off various enemies including cannibals, pirates, soldiers, cultists. 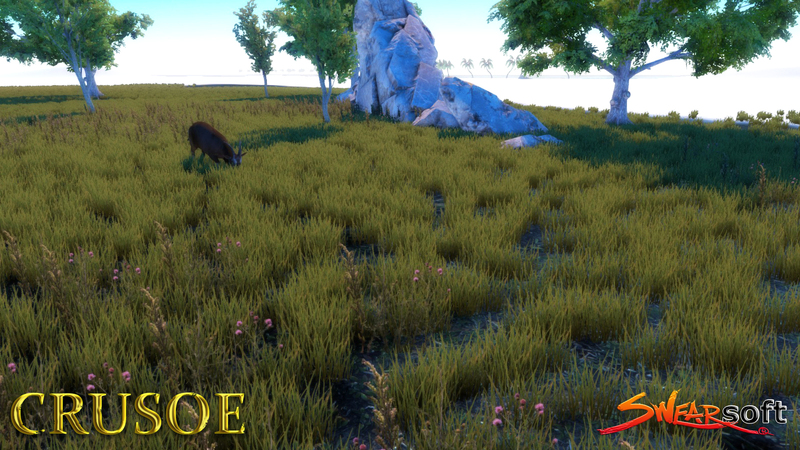 Day/night cycle, weather conditions that change, wild life and a variety of plant life that will make the island a vibrant, living and breathing dangerous world.